I’m a firm believer that pastors should get out more. The demands of ministry often require pastors to keep their noses resolutely planted on their respective grindstones. The result is that ministry can be an overly insular vocation. I’ve found that a great way to “get out” – even when I’m stuck in my office – is to read leadership books from a non-ministry perspective. They help me see leadership from a new angle. They re-energize me to tackle what God has called me to do in my role as a pastor. They also help me get more out of leadership books written by pastors, since I can see better what they pull from the broader literature on leadership, as well as what they leave behind. Below I’ll share with you five non-ministry leadership books that have made the biggest impact on me. In making these suggestions, I am not equating ministry and business. You might be leery of secular leadership books, thinking they necessarily cause pastors to view members as customers. While I admit, sadly, this often happens, it does not have to be the case. The wise pastor will discern which principles belong to the marketplace, and which carry over into ministry. In 21 Irrefutable Laws of Leadership, John Maxwell describes what the effective leadership style looks like. Although it is technically not a book on ministry, Maxwell pulls from his experience as a pastor several times throughout the book. 21 Laws is important because Maxwell emphasizes that leadership is about leading people, a difficult thing for a pastor who sees the bulk of his church just once a week. Reading through all twenty-one leadership qualities, you are likely to discover some strengths you didn’t know you had, as well as areas where you need to grow. The Effective Executive, by Peter Drucker, impresses upon the pastor the necessity of working within his strengths and staying focused on doing just a few things, but doing them well. There are a million things you could do as a pastor to serve your people and minister the gospel to your community. But what should you do? How do you make those decisions? And how do you execute those decisions effectively? Drucker provides some very practical answers. Scott Eblin, in The Next Level: What Insiders Know About Executive Success, tackles the question: why do so many new executives fail within their first 18 months on the job? Have they been “Peter Principled” or did the person who hired them make a mistake? Eblin says, “no” to these questions. Rather, what these executives didn’t realize is that the skills that get you promoted to the executive level – being a great performer – are not the skills that make you successful at the executive level – being a great leader. He provides nine changes you have to make to be the leader you need to be at the next level. What advantage is a book like this to pastors? Much in every way. Any pastor that has just taken a step to a “next level” (e.g., from youth ministry role to an associate role or from an associate role to being the lead pastor) will benefit. I think the 18 month dropout/fire rate for business executives is similar to the dangerous third year for pastors. At first you don’t really know what you’re doing, so the role doesn’t seem so bad. But then as you comprehend the totality of your responsibility, it is easy to become so overwhelmed that you want to quit. Eblin will show you how developing and utilizing others can relieve you of the burden of doing all the work while overall seeing more ministry get done. 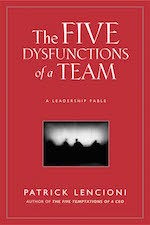 In my experience, I’ve seen how Patrick Lencioni’s The Five Dysfunctions of a Team applies not only to business, but to ministry teams of all kinds: elder boards, pastoral staff teams, volunteer teams, etc. Pastors who desire to see fruitfulness in their ministry despise teams that can’t work together, or that can only work together when certain people are happy. Lencioni shows the reader how to work through five principles of bad teamwork: lack of trust, fear of conflict, lack of commitment, avoidance of accountability, and inattention to results. Are you dealing with any of these on your team? This last suggestion is a two-for-one: Good to Great and Built to Last by Jim Collins. As you begin working on your leadership style and start to develop your team, the next step is to align your church around a common vision. Collins shows how the historically great business organizations have done this in these books. He discusses principles such as humility in leaders, leadership succession, hiring the right people for your organization, understanding your vision and acting in line with it, growing your leaders from within the organization, setting “big hairy audacious goals,” and more – all of which has application for how you organize and structure your ministry. The danger leadership books like these pose for pastors is that we might end up wrongly thinking that changing our churches and the world is a methodology problem. If we just tweak our leadership style and a few systems, things are really going to start moving. This is leadership according to the flesh. Rather, our responsibility is to plant, to water, and then to wait patiently for God to give the growth. Yes, Paul said this in reference to preaching the gospel (the most important thing for church leaders to do! ), but I think the principle applies to leadership, too. 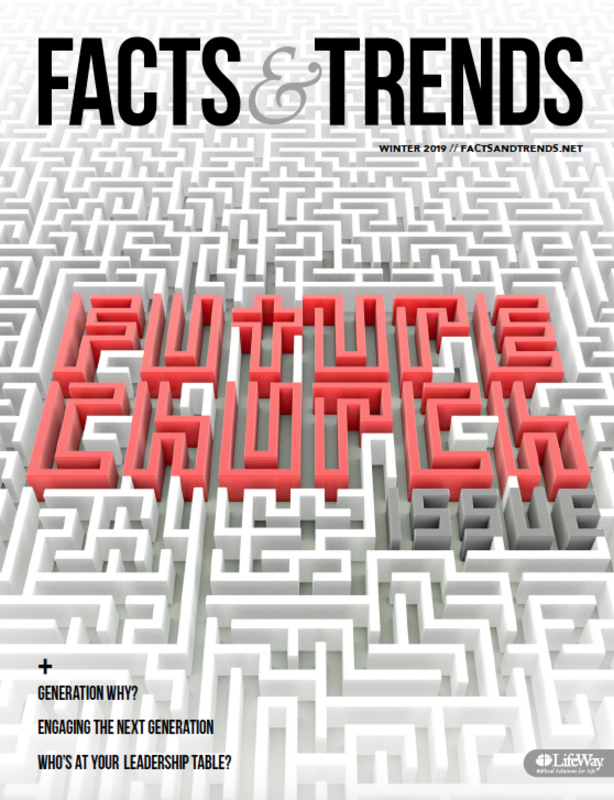 We plant by building well-organized churches and Jesus-loving teams. We water by developing our teams and maintaining our systems. Then we must trust that God will bring fruitfulness according to His wise providence. I wanted to add a book to the list, which was given to me by another dear pastor-friend. It falls into this category and has been immensely helpful in my ministry and life.